Dr Vadim Makarov is the inventor of BTZ043 and PBTZ169. He is an expert in medicinal chemistry and rational drug design with special interest in developing antimicrobial and antiviral agents. His recent work in drug development has focused on antituberculosis drug and as result of his effort in cooperation with several European scientific groups (NM4TB; LSHP-CT-2005-018923) a new class of synthetic organic compounds having high antituberculosis activity in vivo and in vitro was discovered (1,3-benzothiazinones). Two compounds from this group are under in-depth preclinical investigation, with PBTZ169 being the lead candidate. 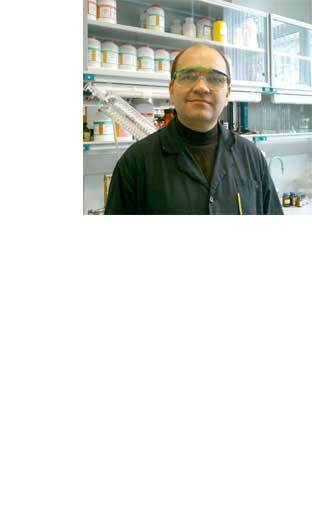 Dr Makarov’s team makes extensive use of advanced methods of medicinal chemistry, rational drug design and study of metabolic transformations. He has significant experience in the “Hit-To-Lead” process that has been obtained in several successful drug development programs.